In case of a pitched roof, you can choose between many types of roof covering. The most frequently used materials are ceramic roof tiles, slates and reed. In this article, you can read more on the different types of roofings for sloping roofs, together with their prices. Discover other useful info about sloped roofs as well. Install, renovate or repair a pitched roof? Request free quotes from roofers. Roof tiles have been used as a roofing material for pitched roofs for ages. In the past, one would especially apply ceramic roof tiles (made of clay). Today, however, you can also choose from a broad range of concrete tiles. Roof tiles last very long and the prices are very reasonable as well. Next to that, they are available in different shapes (for example hollow and flat roof tiles). Are you about to renovate a pitched roof? Choose tiles with a deep seal. This way, the roof is well-protected against wind, driving rain and snow. It is best to cut the tiles as little as possible. Usually, the seals are rather broad, so one can slide the tiles both horizontally and vertically. In order to improve the ventilation underneath the tiles, you can use a special foil for underlying roofs. It is best to have the bottom tiles cross the gutter (for about two thirds of their size). 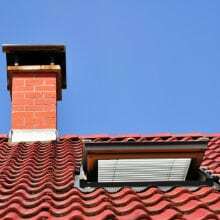 Special attention needs to be paid to the underlying roof, which should closely fit to the gutter. By using a double batten, the bottom tiles are supported well. The installation of slates on a pitched roof requires more expertise as compared to roof tiles. The advantage of slates is that they are suited to create many roof shapes. Moreover, they can easily be integrated into the house’s facade. However, installing a slate roof is more labour-intensive as is the case with roof tiles. For this reason, installation costs may rise high, especially when you use natural slates. The slates are put onto battens which have an equal distance in between, except for the first row of slates. Take into account a proper overlap between the slates. This depends on the roof slope: the lower the roof slope, the bigger the overlap. In case of an insufficient overlap, the roof won’t be waterproof (enough). Contrary to roof tiles, slates usually do not require special tools. Generally, lead is used for the finishing. Are you going to remove the old slates? Keep in mind that these might contain asbestos. If the condition of the slates is still quite good, it is allowed to replace them yourself. Asbestos-containing materials that are strongly weathered should be removed by a specialised firm. Nowadays, a reed roofing is especially applied on pitched roofs of rural houses. The application of reed is specialised work that must be outsourced to professional thatchers. As thatching is rather labour-intensive, reed is not one of the cheapest roofing materials. Next to that, a thatched roof requires more maintenance than other types of roofs. It is also possible to finish a sloped roof with zinc. These days, zinc roofs are especially seen on modern houses with a deviating or unique roof construction. Applying a zinc roof is a job for specialised roofers. In case of a pitched roof, one usually applies the ‘standing seam system’, although zinc can also be applied in the shape of zinc slates. Definitely take into account ventilation! No matter which type of roofing you choose, ventilation on the bottom side is always important. By installing battens and counter battens, a space arises through which air can flow (from the eaves to the ridge). When the pitched roof has a low inclination angle, extra attention should be paid to ventilation. As for this roof type, the air flow may be hampered in some cases. Consequently, the ventilation of the roof construction will be put in danger. How to waterproof a pitched roof? It goes without saying that a roof must provide good protection against the weather conditions. In order to guarantee the waterproofness of a sloping roof, an underlying roof is often installed. This is an extra protection (in the shape of foils or panels) that is positioned between the roofing and the insulation material. Inner roofs make sure that the insulation and roof construction are not affected by dirt or damp. Roof insulation is an interesting investment if you want to heat your house efficiently. Usually, the insulation material is installed along the inside of the slanting roof, although it can also be applied on the outside. If the attic is not used as a living- or sleeping room (unheated loft), you can choose to have the floor insulated in order to restrict heat losses. 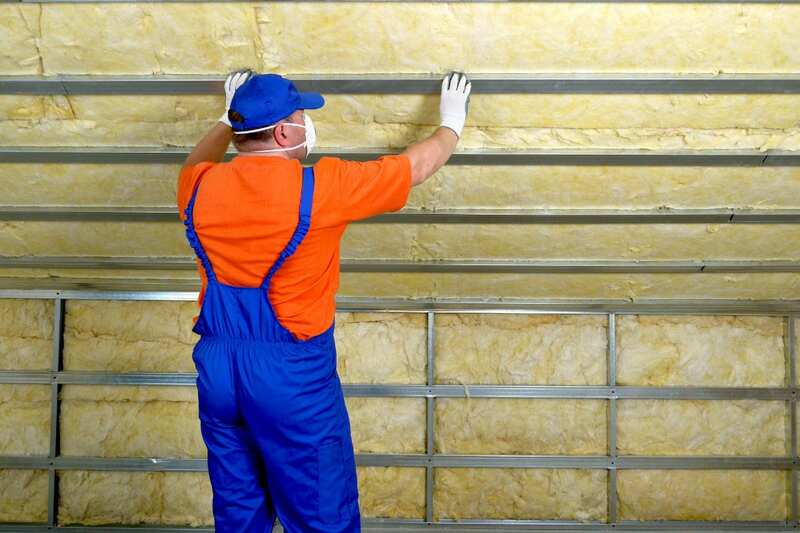 Several types of insulation materials are suited to insulate a pitched roof. In the article ‘Roof insulation’, you can find an overview of all the materials you can use to insulate a sloped roof. Do you want to have your pitched roof insulated? Via our quote page, you can request customised prices from insulation experts for free. By doing so, you can easily compare prices. Click here for more information.